British Columbia is known around the world for its unsurpassed wilderness. With its beauty and virgin forests, oceans, lakes and rivers comes an unprecedented amount of wildlife. On the western shores of Shuswap Lake is the mouth of the famous Adam’s River where arguably the worlds largest Sockeye salmon run spawns, with 2015 being a symbolic year of abundance with upwards of 200,000 sockeye salmon returning to the Adam’s River. Join Noble Adventures this October for a day of memories, fantastic photos, knowledge and local cuisine as one of natures wildest miracles unfolds before your eyes on the Adam’s River, next to the beautiful Shuswap Lake and set within a lush temperate forest. Departure times are flexible for early risers! Natural wonder of this magnitude doesn’t happen often! Join us as hundreds of thousands of Sockeye salmon return during the month of October for an interpretive nature walk along the pristine Adam’s River in Roderick Haig-Brown Provincial Park, located on the western shores of Shuswap Lake. As your guide, Noble Adventures will provide professional transportation to and from your place of accommodation to the Adam’s River. Along the drive you will enjoy magnificent vistas of Shuswap Lake with unobstructed views of the Columbia Mountains as we make our way towards the lakeside community of Blind Bay. You will gradually descend into the quiet community of Sorrento at which point you can appreciate the salmon’s 500 kilometre journey from a shoreline drive along Shuswap Lake, opposite the Adam’s River. Time travels fast as you learn about the Shuswap’s lakeside communities en route to the Adam’s River. Upon arrival to Roderick Haig-Brown Provincial Park, Noble Adventures will provide you with a two hour guided tour through the park and its trails. During the tour, your Noble Adventures guide will provide you with exceptional viewing opportunities complemented with detailed information pertaining the Sockeye salmon run, the Adam’s River and adjoining park, the salmon’s life cycle, the environment as well as its benefits to local First Nations and surrounding communities. After your two hour guided tour, guests will be provided with a picnic lunch provided by a local Shuswap restaurant featuring local cuisine. After lunch, you will have an additional time to further view the Sockeye salmon at your own leisure, take additional photos, stroll along the river’s winding gravel bars or the vast shoreline of Shuswap lake. For guests who would like to take advantage of their time in the Shuswap and further appreciate the surrounding areas, Noble Adventures offers the option to extend the Adam’s River Sockeye run by four hours, making your day an exciting and fun nine hour experience. During this additional time, guests will be exclusively driven to Albas Falls Provincial Park, deep in the heart of the North Shuswap and next to beautiful Seymour Arm and the shores of Shuswap Lake. Albas Falls Provincial Park provides three kilometres or one hour of walking trails on both sides of Celista Creek. The park features a series of five impressive waterfalls and a wood bridge crossing the creek between lush deciduous and evergreen trees infringing upon the creeks rocky edges, a perfect place in nature for wildlife viewing and photography. Delight yourself with an impressive array of wild B.C. mushrooms, mosses, ferns, magnificent trees and the impressive waterfalls that make this park magnificent! After stretching your legs at Albas Falls guests will make a final stop at Celista Estate Winery, Canada’s most northern winery. 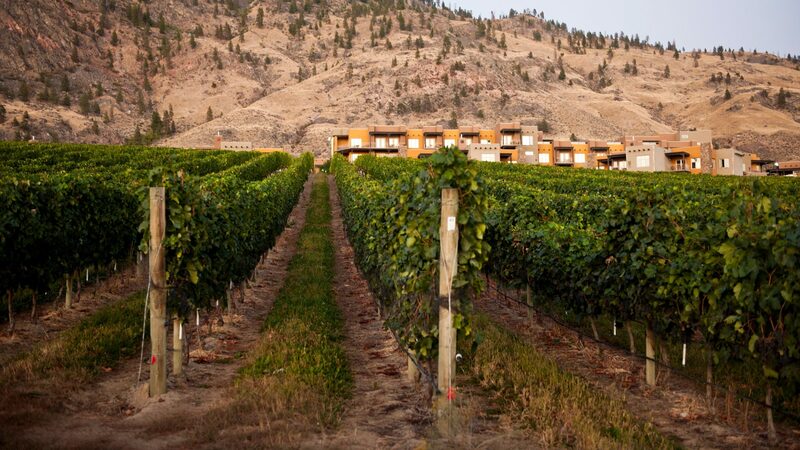 Celista Estate Winery is a 160 acre farm producing high quality cool climate wines in the North Shuswap. Owners Jake and Marg Ootes have earned a solid reputation as their selection of wines have won 20 medals in the past four years. After a day of fresh air in the Shuswap, spoil yourself with a glass of wine on their patio over-looking Shuswap Lake or take home a bottle of wine to enjoy with friends and family as you share stories of your Shuswap Experience.